Unique Beaches in Galveston Tx - The Pirates Beach. Pirates beach is one of the unique beaches in Galveston. The beach and vacation rentals in Galveston make it the ideal romantic get away destination. The beach is located at the west side of Termini-San Lius Pass Rd. It's a 20 minute drive to central Galveston. Pirate beach is clean. Very nice Galveston beach vacation rentalsawait visitors. The expansive shores are inviting places to stroll, swim and play without much disturbances. 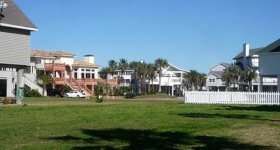 This is a neighborhood beach and most rental homes are privately owned. Escape to The Gulf hotel is not far from Pirates Beach. This is another considerable place to stay. Other near hotels are about 20 minutes drive to the Seawall. Drive to the Seawall restaurants within minutes or stop by the Cafe Michael's Burger and Woody restaurant on San Luis Terminal Pass Rd. Packing space at the beach is unlimited. Public amenities on the beach are scarce. Pirates beach is near to Galveston State Park. Take some time to explore the park. Hike, do some freshwater fishing or bird watching. All attraction sites are within the average distance of 15 miles. 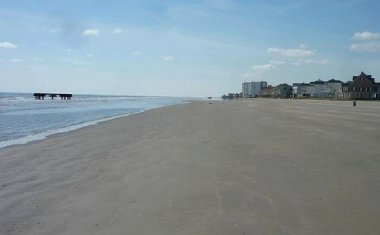 Come to Galveston and enjoy this unique beach and the inviting neighborhood.